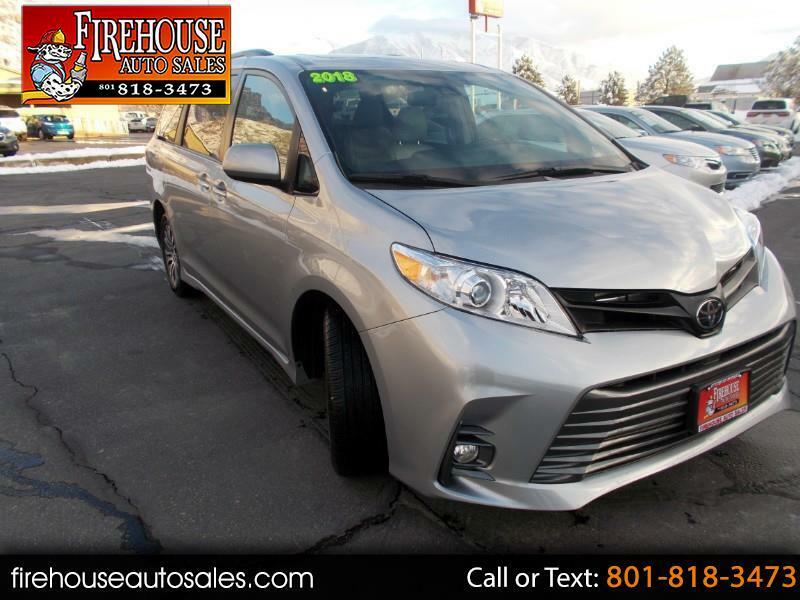 2018 Toyota Sienna XLE, Gray w/ Gray Leather Interior, ONLY 27,000 MILES!!! Used, FULL FACTORY Bumper to Bumper WARRANTY, 8 Passenger Seating, BLIND SPOT DETECTION, TOYOTA SAFETY SENSE, SUNROOF, HEATED SEATS, CONVENIENCE PACKAGE, PUSH BUTTON START, POWER SLIDING DOORS, POWER SEATS, POWER AUTO WINDOWS, BACKUP CAMERA, POWER LIFTGATE, Dual Automatic Climate Control, Bluetooth Handsfree, Keyless Entry, Home Link, Premium Sound System, XM Satellite Radio, CLEAN Carfax, CLEAN Title. Please Check out our GOOGLE reviews!!! Visit Firehouse Auto Sales online at firehouseautosales.com to see more pictures of this vehicle or call us at 801-818-3473 today to schedule your test drive. Message: Thought you might be interested in this 2018 Toyota Sienna.